Estate planning can be simple or complex, depending on the nature of your assets. You may think that creating an online will is sufficient, but a will is typically used to dictate how physical assets, such as real estate, are distributed to your heirs, or to name guardians for minor children. 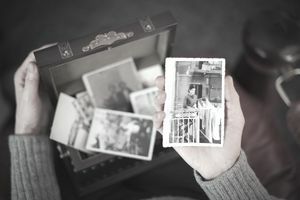 When tackling online estate planning, you also have to think about how your digital assets will be managed if you become incapacitated or pass away. If you're not sure what that means, it's important to know what digital assets are and where they fit into your online estate planning efforts. As you can see from this list, digital assets may or may not have a tangible financial value. So why do you need to account for digital assets with online estate planning? It's very simple. Having a plan for these types of assets makes it easier for your loved ones to retrieve and secure them after you pass away. A digital estate plan eliminates the need to track down passwords, and it gives your family members and beneficiaries legal standing to access your digital assets. It's also critical for protecting any income streams your digital assets may generate, including royalty rights or revenues from an online business. Digital estate planning is still a relatively new concept, and only about half of U.S. states have specific laws governing online assets. The Fiduciary Access to Digital Assets Act of 2015, which extends fiduciary powers to digital assets, has been enacted or introduced in every state. Finally, creating a written plan for managing digital assets provides legal protection for your loved ones, since state and federal laws make accessing computer systems or private data without permission a crime. That's useful for identity theft prevention, but it can make things more difficult for those who need to access your account after your death if they're concerned about triggering a criminal charge. If you're planning to establish an online estate plan for your digital assets, the first thing you'd want to do is determine whether your state has a law pertaining to those assets. This is important because state law may specify what can or can't be included in your digital estate plan, the format your digital estate plan must take and how a digital estate plan must be witnessed or recorded. Begin With a Careful Inventory of Your Digital Assets: Before you can start to create your digital estate plan, you first have to know what assets you have. Specifically, for each asset, you need to know what type of asset it is, where it's stored online, its estimated financial value if any and the user name and password required to access it. If you have multiple online accounts to include, it may be helpful to use an online password manager to keep track of your login information. Decide How You Want to Manage These Assets: For each digital asset on the list, you'll need to decide what you want your estate's executor or loved ones to do with them after you pass away. That may include smaller decisions, like what you want to happen to the credit card rewards you've accumulated, and larger decisions, like whether an online business you own will continue to operate. Be as specific as possible when outlining how you want digital assets to be handled. Choose Who Will Manage Your Digital Assets: Who do you want to be able to access your online assets? Naming a digital executor lets you spell out clearly who can—or can't—manage your digital assets as part of your online estate plan. Put It in Writing: Last but not least, you'll need to put your digital estate plan into written form. Again, it's important to be as specific as possible with regard to your wishes. If you're not sure how to format your digital estate plan, an estate planning attorney can help. For example, you may be able to include it as a codicil to your will. Once you've drafted the document, be sure to share it with your digital executor, attorney, and loved ones. Online estate planning doesn't have to be complicated. Planning for your digital assets can eliminate headaches for your loved ones later. Remember to review your digital estate plan regularly to account for any new digital assets you acquire, or for ones you no longer own.